PBS, in partnership with the BBC, turns the cameras on a must-see natural spectacle as thousands of the world’s wildest animals gather to take part in Alaska’s amazing summer feast. 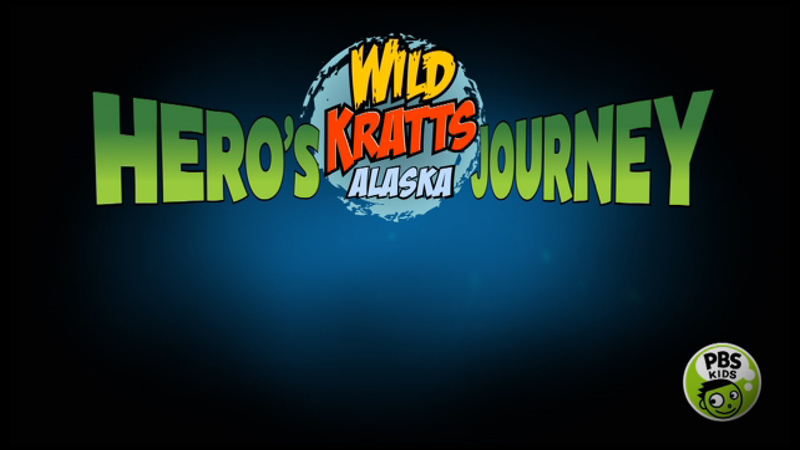 Join the Kratt brothers as they embark on their greatest journey yet – to Alaska! Premieres Monday, July 24, 2017 at 7:30am. Over three nights, in partnership with the BBC, PBS turns the cameras on a must-see natural spectacle that plays out across the vast Alaskan wilderness, where some of the world’s most remarkable animals – bears, wolves, moose, orcas and eagles – gather by the thousands to take part in Alaska’s summer feast, an event never before captured live on television. WILD ALASKA LIVE is hosted by Emmy Award®-winning zoologists, adventurers and brothers Chris Kratt and Martin Kratt, the creators, executive producers and stars of the hit PBS KIDS series WILD KRATTS. Liz Bonnin and Steve Backshall, both of whom presented BIG BLUE LIVE, will join the Kratts as on-air correspondents. What happens in the Alaskan wilderness in late July affects the animals’ survival and well-being for the remainder of the year. With some of largest areas of wilderness left on Earth, Alaska is the best place in the world to see the huge animals and top predators in all their glory. The three-night live presentation also explores the challenges of preserving America’s last frontier, as scientists, filmmakers, photographers and other experts gather there to tell some of the planet’s extraordinary wildlife stories. Over three nights, WILD ALASKA LIVE will visit several locations, including points near Juneau and the Tongass National Forest, where the team will look for black bears and bald eagles; the vast Kenai Fjords National Park, in search of orcas and humpback whales; and the wilderness of Katmai National Park, where brown bears and elusive wolves live and hunt. WILD ALASKA LIVE will also introduce viewers to local experts who explore the relationship between Alaska’s First Peoples and the animals among whom they co-exist. WILD ALASKA LIVE will use state-of-the-art filming technologies and live reports from the air, by boat and on the rugged Alaskan terrain. The event will be anchored by an on-location team of hosts, including Chris Kratt and Martin Kratt, correspondents, scientists and wildlife experts who will provide insights and perspective during the broadcasts. In addition to the live portions of the programs, PBS and BBC crews will shoot video and b-roll footage in the weeks preceding the live broadcast, to enhance each live broadcast by telling the bigger stories of each unique species.